The seven children on “Fantastic Adventures,” a popular family YouTube channel, appeared gleeful as they did everything from solve puzzles to cast spells. But when they weren’t on camera, Arizona police say their adoptive mother starved them, locked them in closets for up to a week, and forced them to take ice baths. 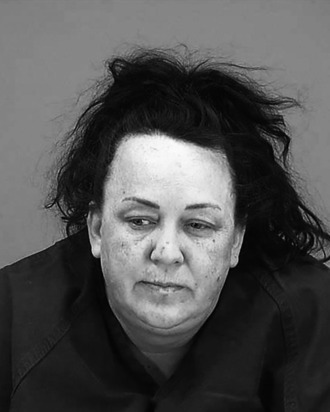 On March 15, Machelle Hackney, 48, was arrested at her Maricopa home, where she had been operating the Youtube channel “Fantastic Adventures” since 2012. While the nearly 800,000 subscribers tuned into the channel to see Hackney’s adopted children going on innocuous “adventures” and playing games like “cookie capture mission,” what viewers didn’t know was that Hackney was strictly judging their performances. And, according to Arizona authorities, when the children forgot their lines or didn’t meet Hackney’s standards, she would allegedly abuse them. Per court records, the alleged mistreatment first crossed police’s radar when Hackney’s biological daughter contacted them on March 13, prompting them to conduct a wellness check. When police met to interview the children, who are between the ages of 6 and 15, the Washington Post reports that they appeared malnourished and had dark circles under their eyes, and horrific stories: of being forced to stand with their arms above their head from dawn until midnight, of being pepper-sprayed all over their bodies, of having their heads held underwater when they resisted ice baths, and of being locked in their mother’s closet for days. That same day, Arizona’s Department of Child Safety removed them from Hackney’s custody. Hackney is facing five counts of unlawful imprisonment and child neglect, and two counts of molestation of a child. Her adult sons, Logan and Ryan Hackney, were also arrested and hit with charges of not reporting the abuse. According to a statement of probable cause, Hackney told police that she spanked and grounded her kids, but that she never punished them with pepper spray, ice baths, or her closet. However, the Post reports that police discovered two cans of pepper spray in her bedroom.